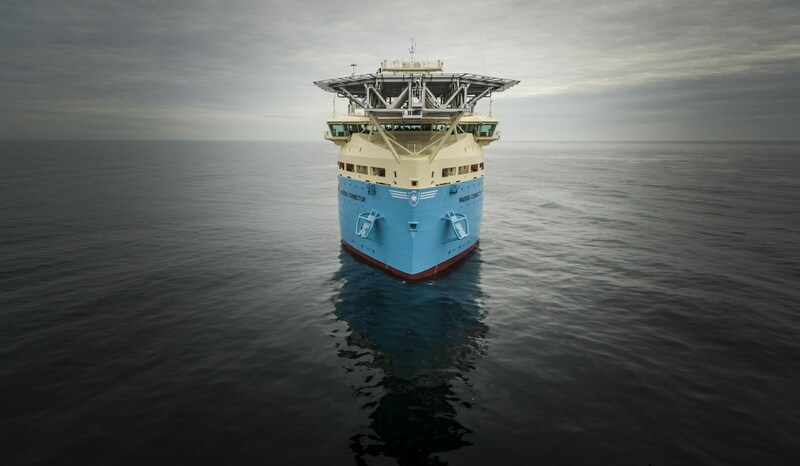 Tested in various sea-conditions and with the requirements for enhanced DP2 the vessel shows an excellent seakeeping behaviour. 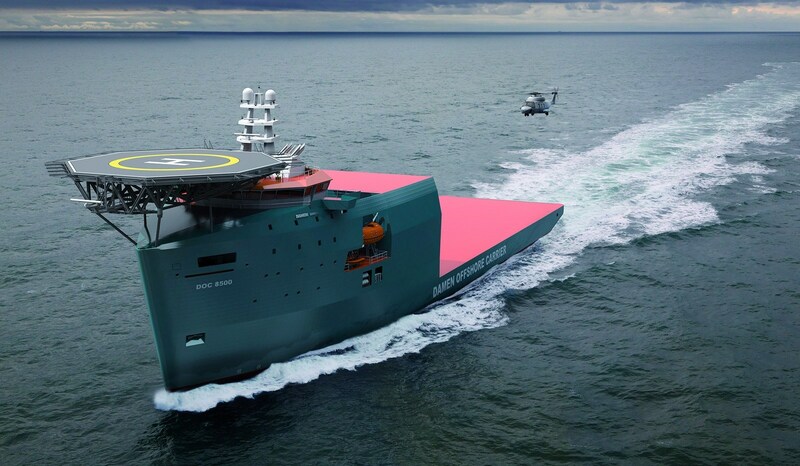 With crew comfort and cargo limitations in mind accellerations are reduced by the hull form and its seakeeping ability. 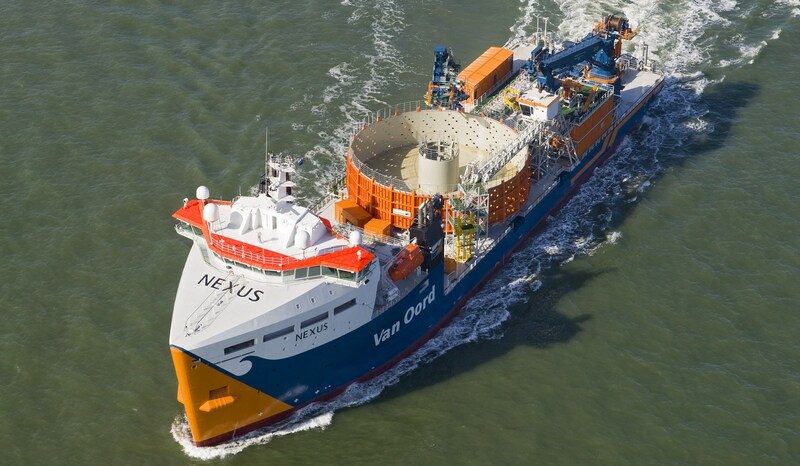 Well tested and documented the vessel is an ideal platform for offshore operations. 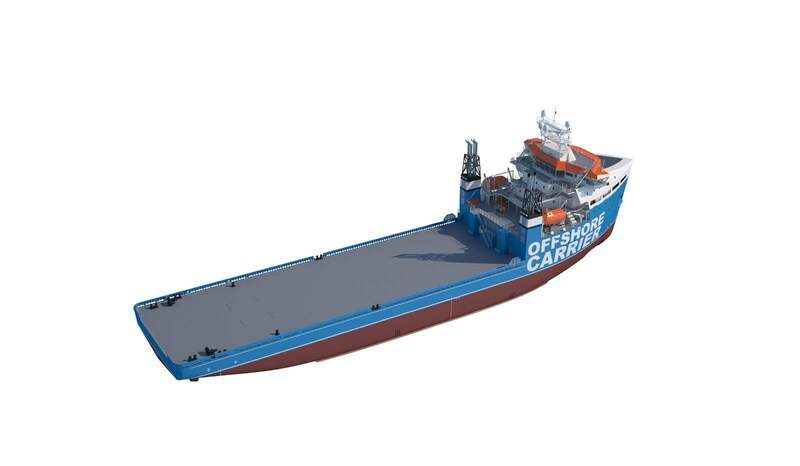 Large unobstructed deck: a flat deck with loading up to 20 tons/m² and on specific positions up to 200 tons this vessel is the mule of the fleet. 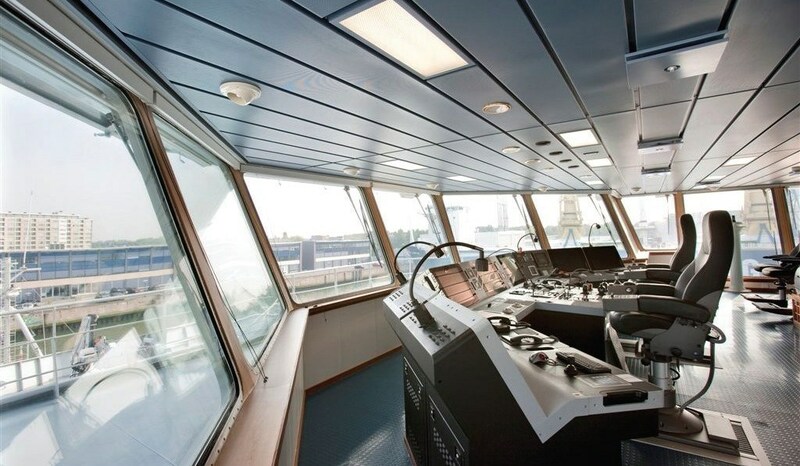 Designed to the latest ergonomic and comfort standards, each cabin has access to the Internet, radio and TV. 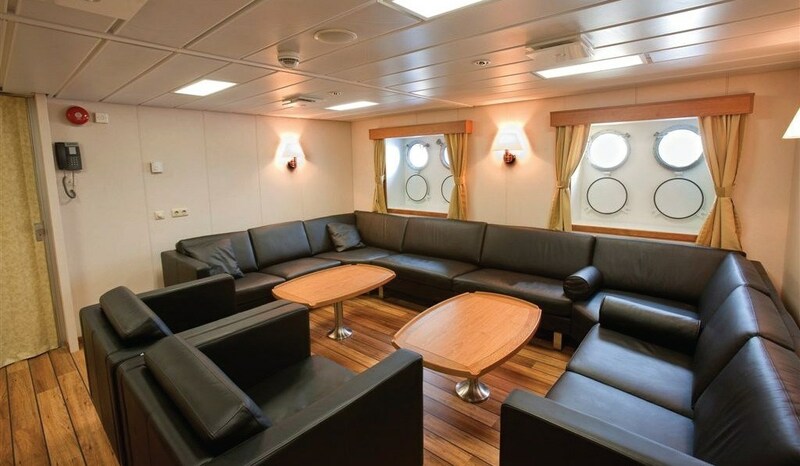 A flexible, standalone accommodation unit of 30 people can also be added to increase the total number on board to 60 persons. A flexible, standalone accommodation unit of 30 people can also be installed to increase the total number to 60 persons. 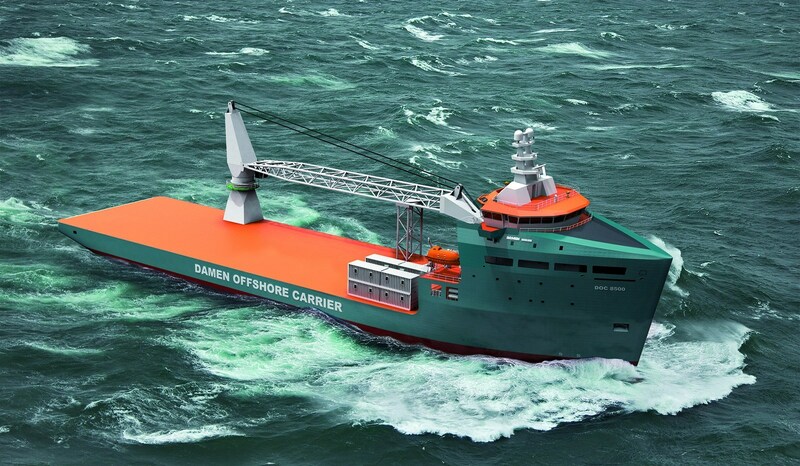 The Damen Offshore Carrier is a highly versatile, multifunctional platform, primarily designed for shore-to-shore transportation and installation works in various markets to ensure flexibility and year-round utilisation. 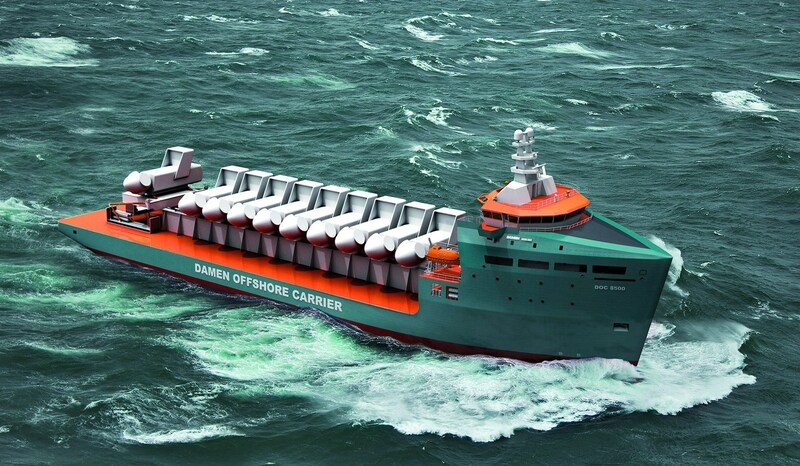 The Damen Offshore Carrier has excellent ro-ro features and a very efficient ballast system. 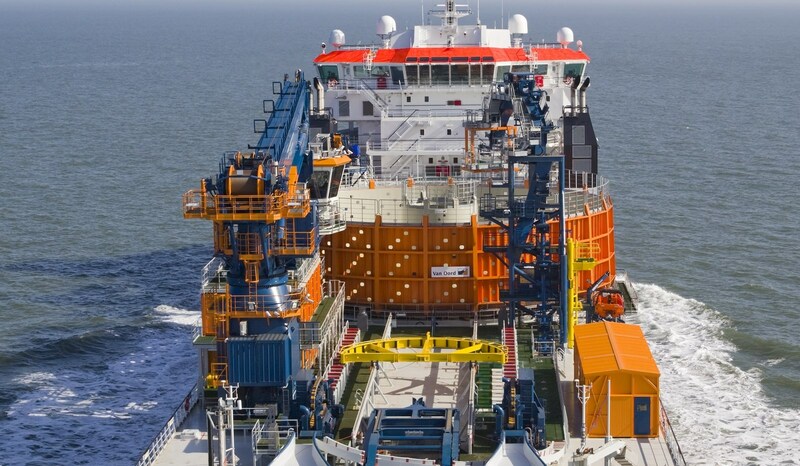 The DOC offers an excellent platform for transportation and installation works in the offshore wind and tidal market. 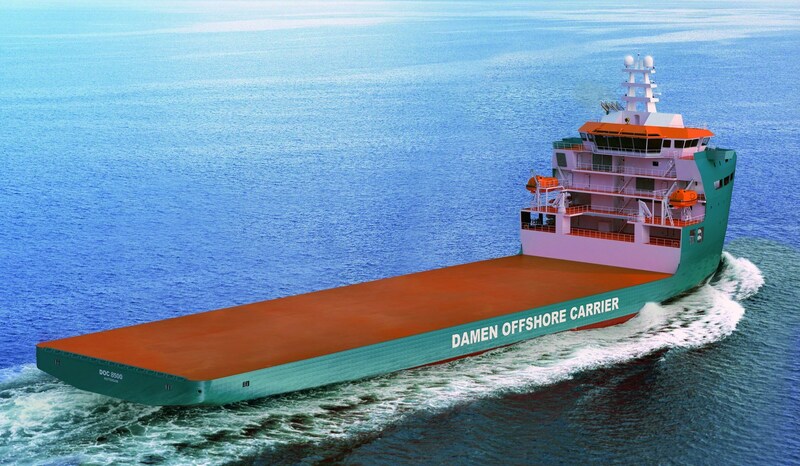 Developed in cooperation with Heavy Lift specialist Ha-Ce Engineering Pte Ltd, the Damen Offshore Carrier is a state-of-the-art vessel, optimised for ro-ro, transportation and installation works. 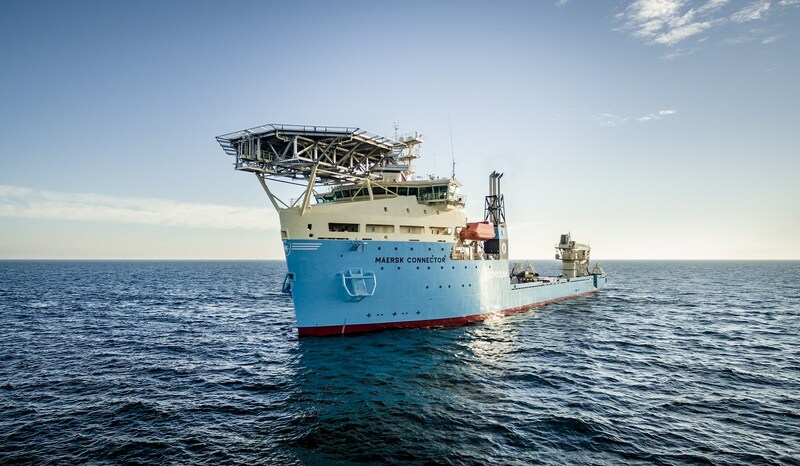 The DOC has an endurance of 65 days, a large 2,300+ m² unobstructed deck and is highly fuel-efficient. 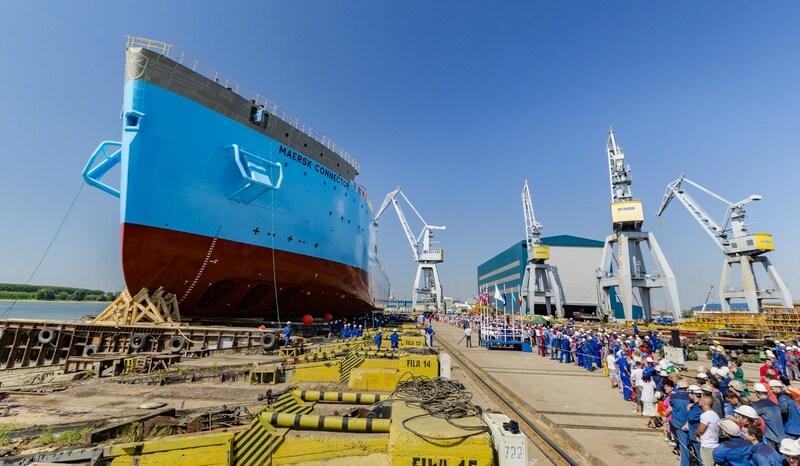 The new distinctive, sleek bow and slender hull enables the vessel to sustain its speed and course in head seas, as well as helping to reduce fuel consumption. 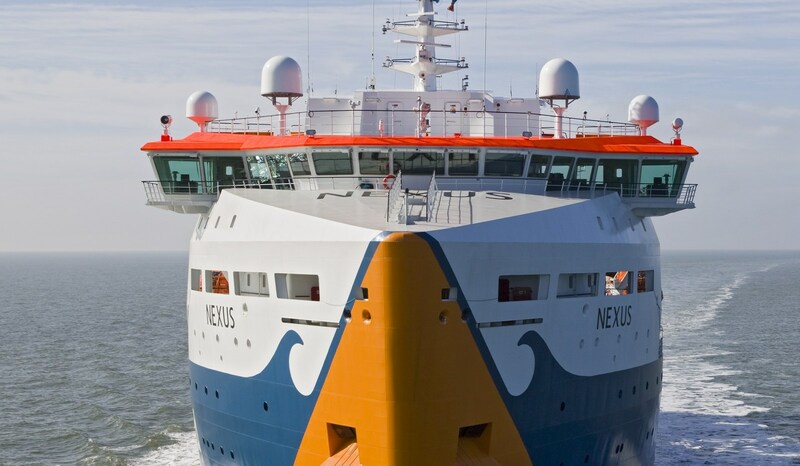 The bow design leads to less acceleration and slamming has been reduced to a very low level, improving comfort and safety. 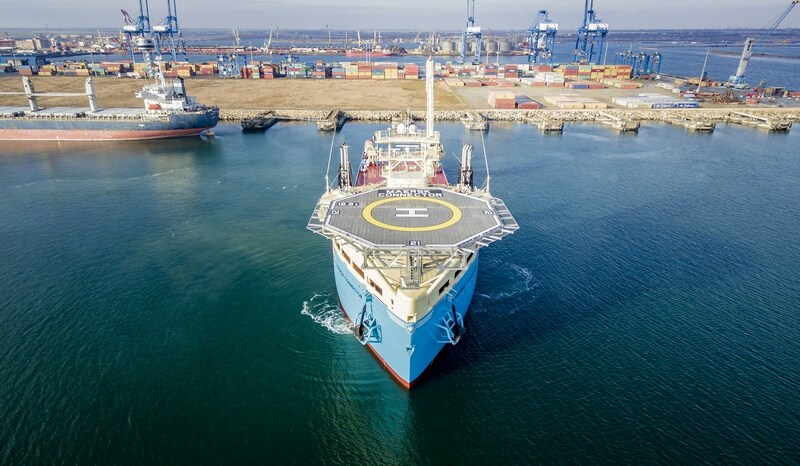 With an endurance of 65 days, economic fuel consumption and the possibility to run on HfO380 or lNg(Duel fuel), the DOC is a very cost efficient vessel. 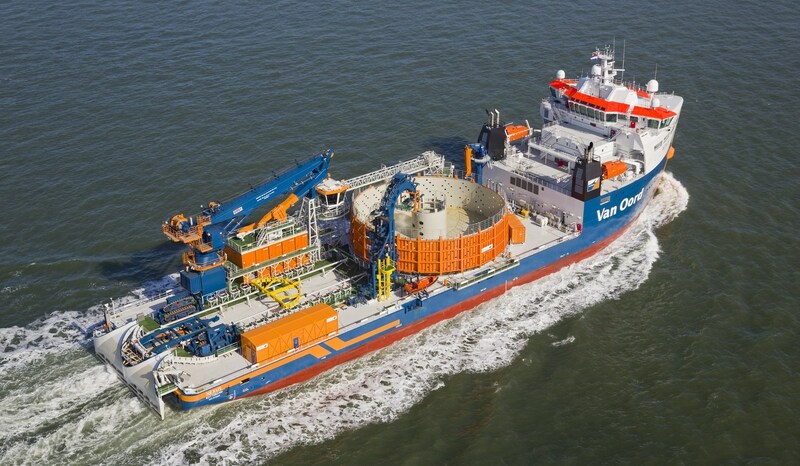 The vessel can be equipped with bunkering facilities and be used to replenish offshore vessels/installations working in the field or for crew exchanges. 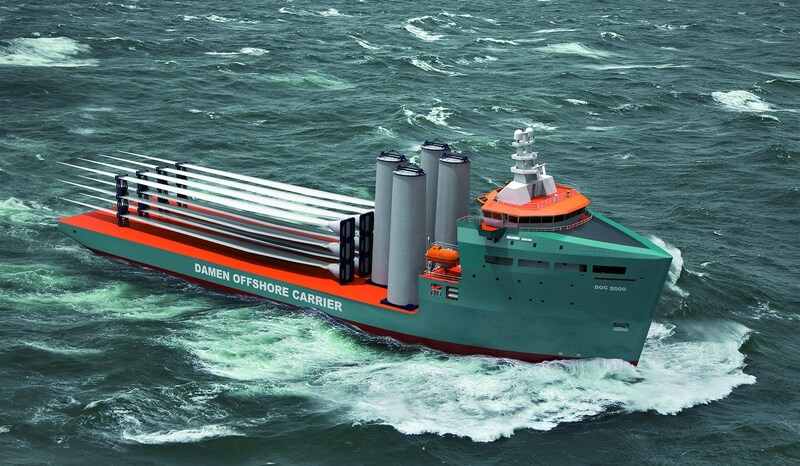 The Damen Offshore Carrier can be built locally, anywhere in the world. 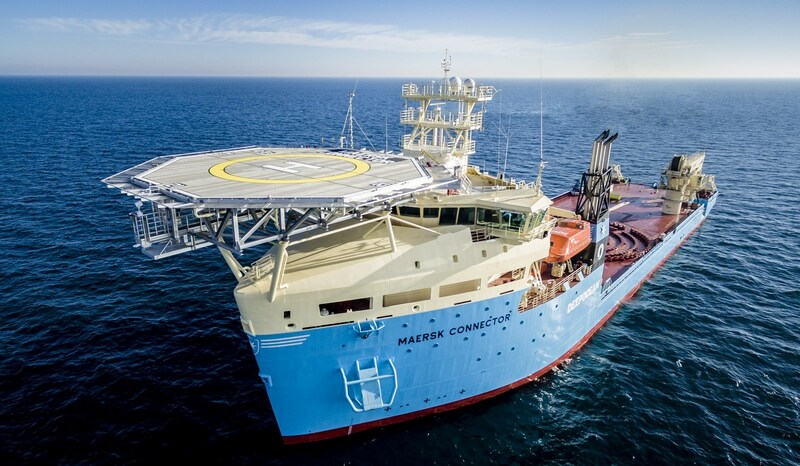 The DOC offers a platform that can be used for installation modules such as cable laying, support works etc. Modules can be added in the building stage or retrofitted for specific operations. 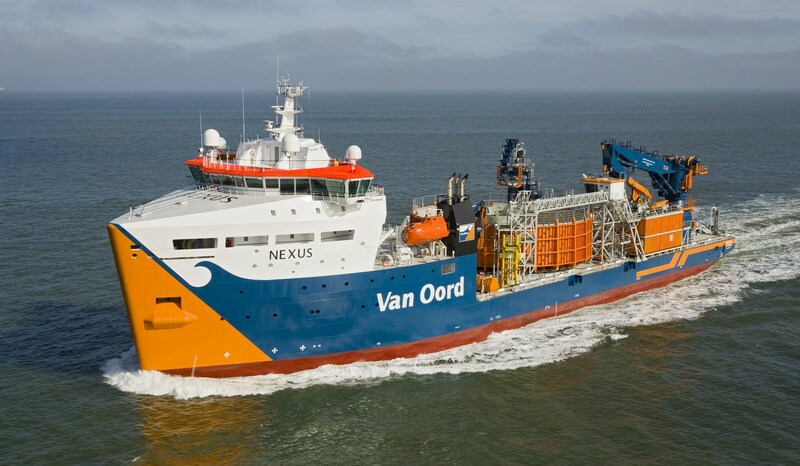 The vessel can be equipped with bunkering facilities and be used to replenish offshore vessels/installations working in the field, or for crew exchanges. The DOC can comfortably accommodate from 30 to 90 people. 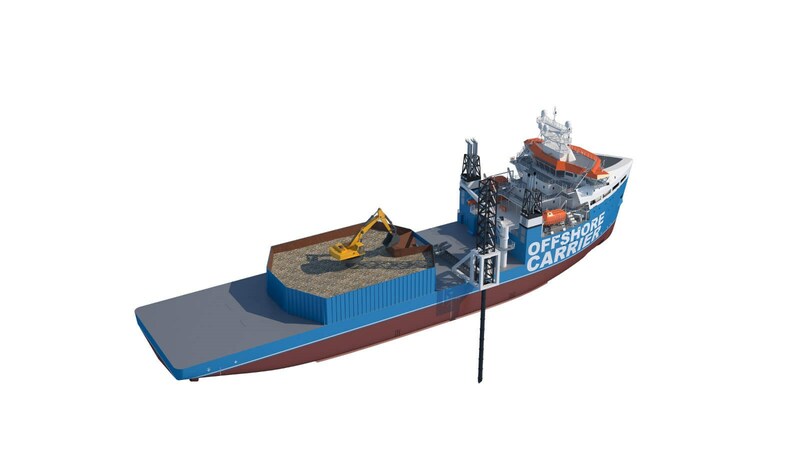 For yet another function, the DOC can be fitted with a Damen Deep Dredge, giving owners a dredging solution. The DOC fulfils the latest market demands in that it can be equipped with a DP2 system. 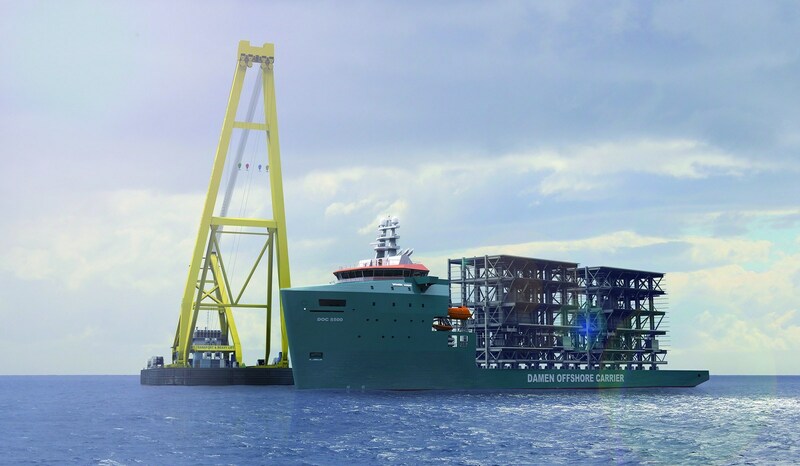 This makes the DOC extremely stable, ensuring safe loading/unloading operations offshore. 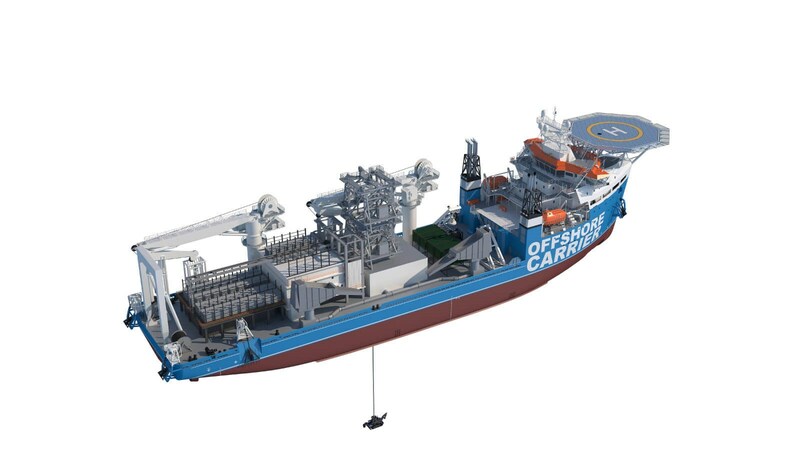 DP2 operation can be optimised by installing additional retractable bow thrusters and/or additional installed power. 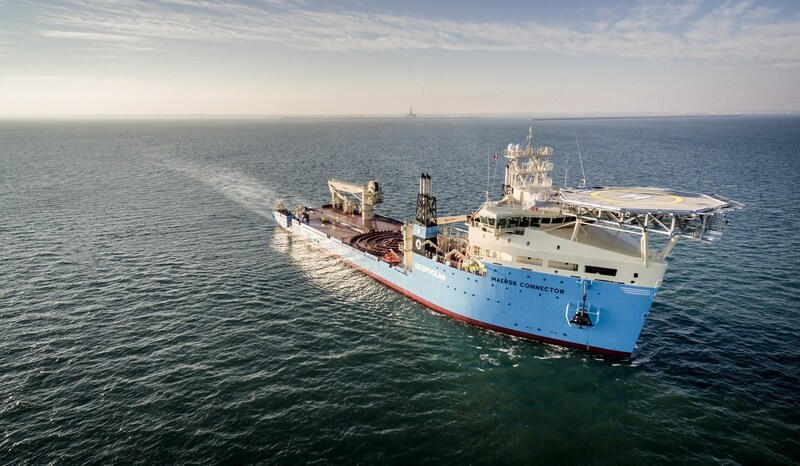 With an endurance of up to 65 days, economic fuel consumption and the possibility to run on HFO380 or LNG (Dual Fuel), the DOC is a very cost effective vessel. 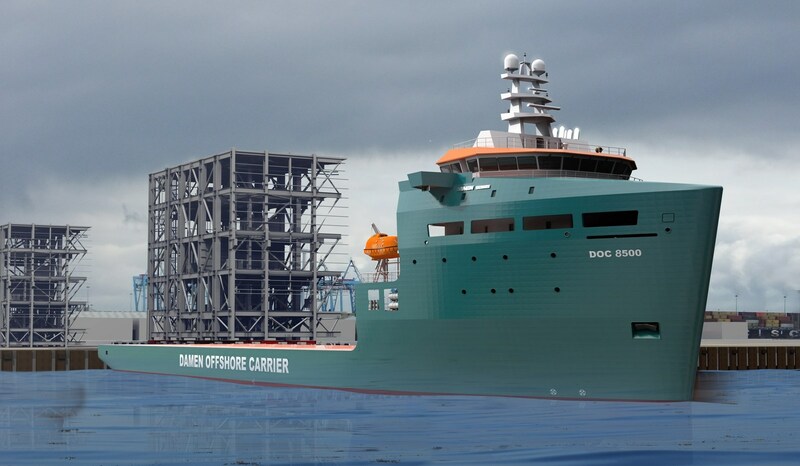 Damen set out to create a vessel that is able to carry modules and cargo on an open deck for long distances, in line with the demands of today’s market. 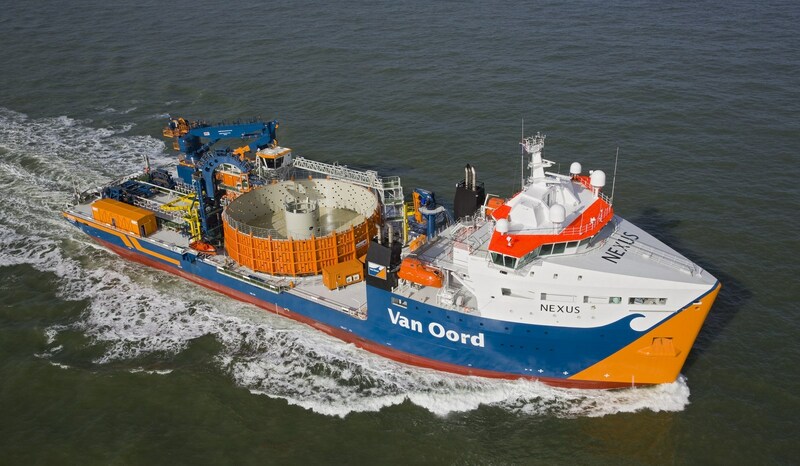 The vessel also provides an effective alternative to the usual method of transportation using a tug and barge. 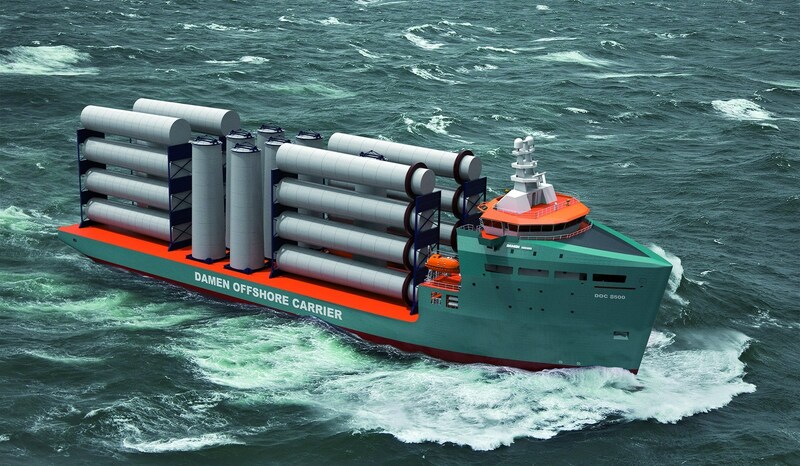 Damen Research & Development specifically looked at the advantages of the DOC compared to a tug/barge combination and found that fuel consumption is reduced by a staggering 25%. 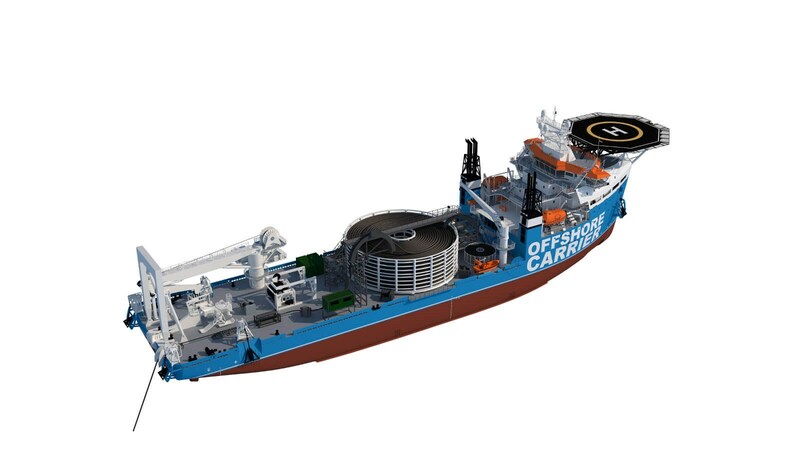 The DOC can be equipped with LNG propulsion, using fixed or containerised LNG storage tanks. 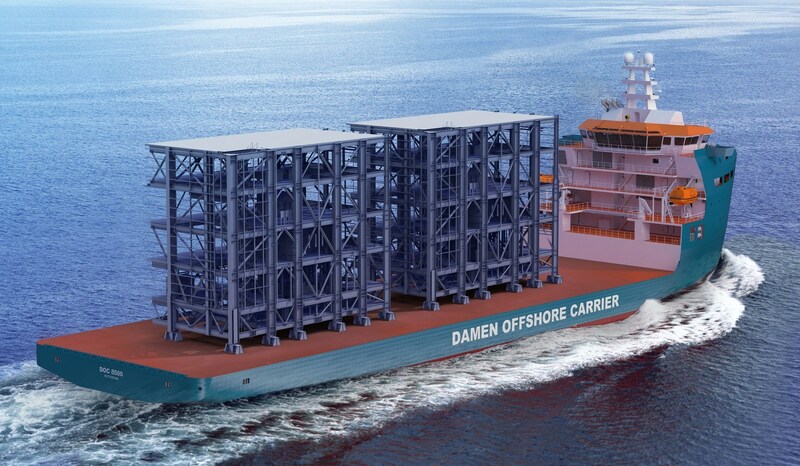 The fuel tanks are protected with cofferdams and the vessel has a Zero Dumping Certification. 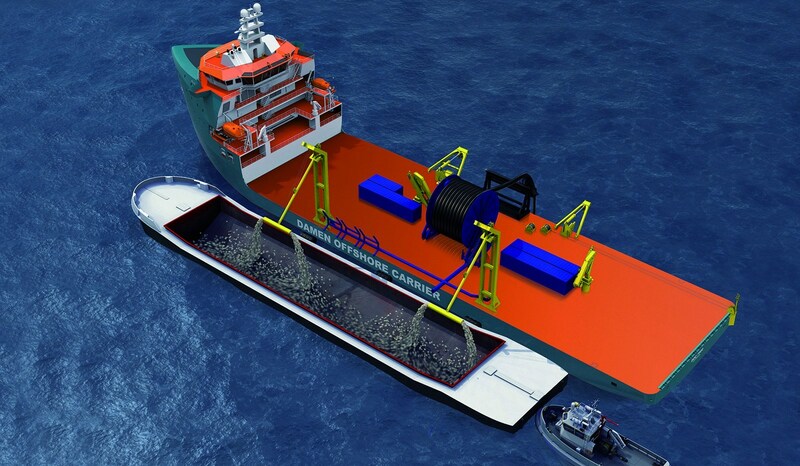 Scrubbers are optional for those wishing to gain the benefits of HFO sailing and reduced emissions.